1. 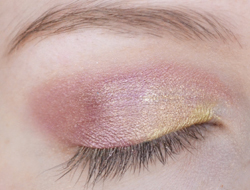 Prime the eyelids using Urban Decay's Eyeshadow Primer Potion. 2. 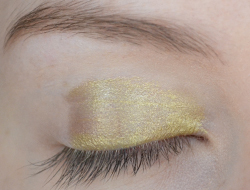 Take 'Electrum' from the Illamasqua Liquid Metal Palette and spread it across the inner two thirds of the eye (seeing that it's a cream shadow, you can use your finger or a sponge to apply it). 3. 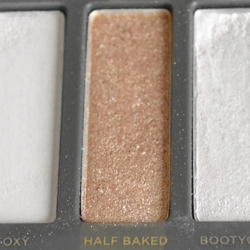 Use the fluffy end of the brush provided in the Naked 2 Palette, and press 'Half Baked' over the top of the gold to set it. 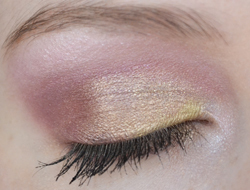 Then Extend the powder to cover the outer corner. 4. 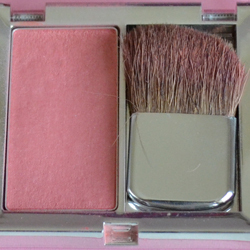 Apply a deep shimmery pink colour (such as number 3 in the Maybelline Quad) to the outer corner and crease. 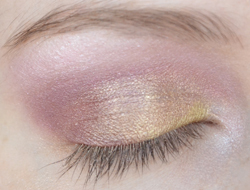 Blend the pink into the middle, decreasing the pigmentation as you go so that the gold is still prominent. 5. 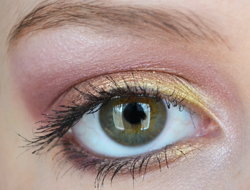 Go over the crease and outer corner with a plum colour, as seen in number 4 of the Maybelline Quad. 6. 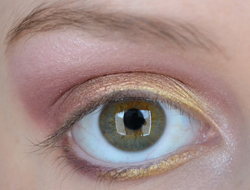 Add a light pink (number 2 from the Maybelline Quad) above the crease and down towards the inner corner. 7. 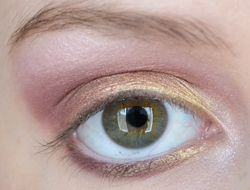 Add a pale shimmery pink (number 1 from the Maybelline Quad) to the browbone and inner corner as a highlight. 8. 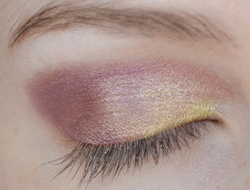 The first step for under the eye is to apply the plum colour on the outer half, and 'Electrum' on the inner half. 9. 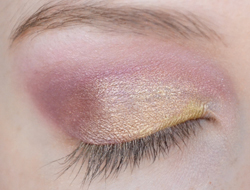 To blend the two, use the mac 266 brush to apply 'Half Baked' over the gold, and then use the plum colour over the outer two thirds. 11. 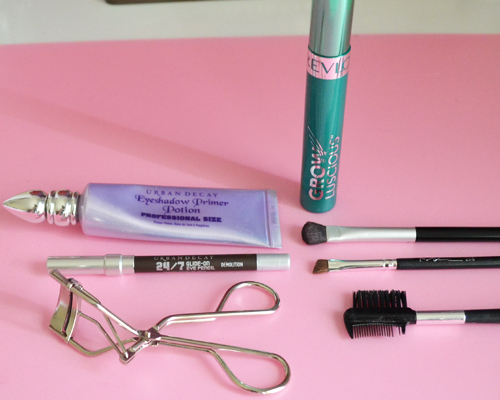 Use a brown eye pencil to line the waterline, such as Urban Decay's 24/7 eye pencil in 'Demolition'. 12. 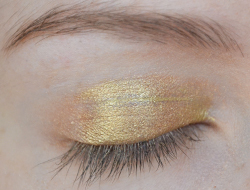 Apply two coats of volumising mascara and you're done! que bien me viene tu post! soy un desastre con el maquillaje! I saw this post on tumblr and had to come and comment! 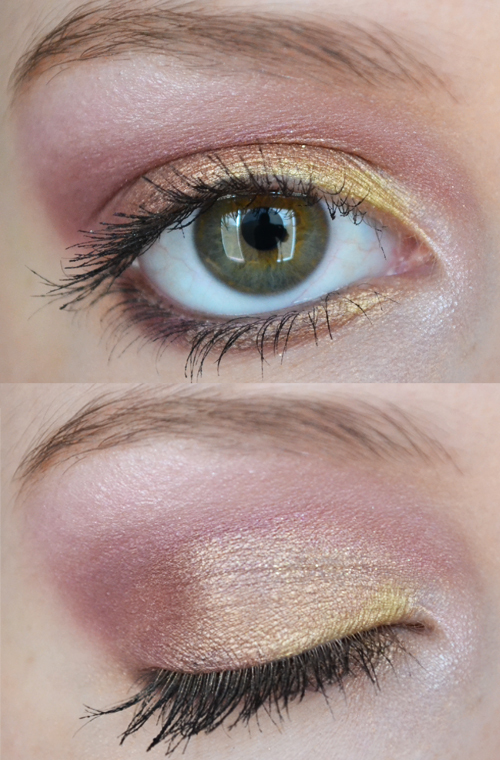 I loveee this make up look! So pretty!